In 2000, Neil Randon wrote and published The Sound and The Fury, a book which many consider to be the pinnacle of F1 stock car writing. It has taken 18 years, but now he’s finally back with a sequel. Just like the original, Shock and Roar profiles some of the top drivers in the sport. Each gets a chapter discussing their racing careers and home lives, although there is plenty of crossover when it comes to exploring the rivalries and controversies that have occurred over the years. Randon excels in getting the drivers to open up, often about divisive issues, and there are plenty of examples of the drivers putting their viewpoints across in their own words. 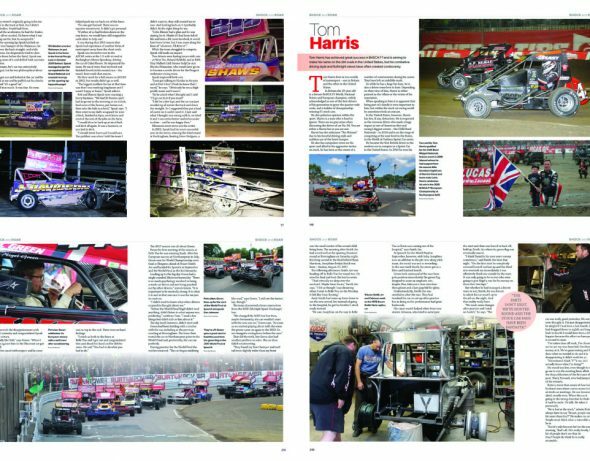 Ryan Harrison responds to his enforced 18-month absence from the track a few years ago, while Tom Harris describes how people responded his part in the Theo van Lier crash in 2014. Among the eleven featured drivers, two have been around long enough that they also featured in The Sound and The Fury, although Rob Speak’s chapter in the new book largely focuses on his fledgling career as a promoter. Randon has chosen to start Shock and Roar with the other previously featured driver, Frankie Wainman Junior, and neatly skirts around what might have been the most problematic chapter. 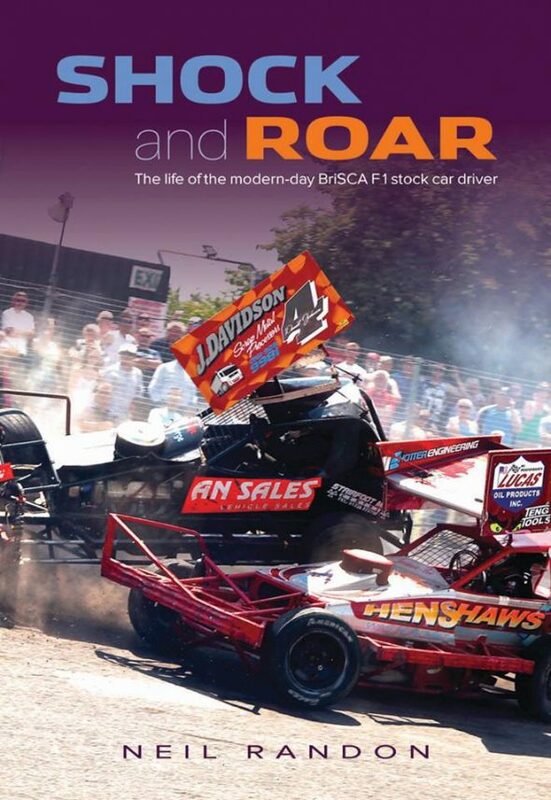 It’s impossible to write about F1 stock cars without writing about FWJ, but such is his fame that it’s difficult to bring anything new to the table – aside from being in The Sound and The Fury, Wainman also released his own autobiography last year. To get around the problem, Randon focuses on the eye injury that nearly ended Wainman’s career last winter and his annual campaign in New Zealand. Randon currently works as a media consultant for the BSCDA and has the privilege of excellent access to the drivers. As a result, interesting snippets and facts that many people probably didn’t know can be found throughout the book, including Mick Sworder recalling the small part played by his family in the rise of an eight-year-old kart driver named Lewis Hamilton. But perhaps the most interesting chapter is that focusing on Roger Bromiley, probably the least-known driver of the eleven who are featured. Randon sensitively discusses Bromiley’s homosexuality – something I was completely unaware of before reading the book – before exploring Bromiley’s prior (and very successful) racing experience in Rebels and Radicals. Bromiley comes across as an intelligent and thoughtful racer and potentially a star of the future if he can dedicate enough time to F1. The strength of Shock and Roar is its ability to help readers better get to know the drivers who put their bodies on the line every weekend during the season. By getting an intimate glimpse into their lives, both on and off the track, we fans end up with a better viewing experience next time we see them in a race. 256 pages, plenty of text, stuffed with colour photographs, all for the price of a stock car meeting? This is thoroughly recommended. Shock and Roar is £20 plus £3.95 P&P and is available via factoruk.com.